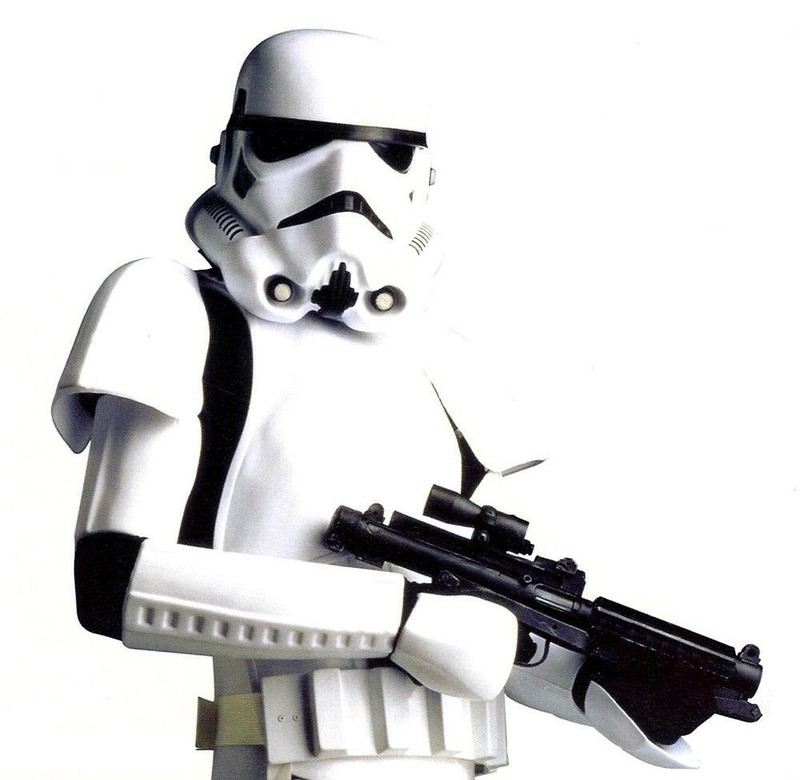 Stormtroopers were once the elite soldiers of the unstoppable Galactic Empire that ruled the Universe. Then little ol' Luke Skywalker came along and destroyed the Death Star, ending the evil empire forever. Since then, poor Stormtroopers all over the world have been left without work (maybe it's the economy). Out of the entire year, Stormtroopers have only a few select days of recognition, such as Star Wars Day and Halloween, where they come out of the woodwork to celebrate their once beloved state. While one of those days is for serious diehard fans, the latter is something everyone can have fun with. The stormtrooper costume is very popular and is sold worldwide, so how can you separate yourself from all the other white clones? Carve your own Stormtrooper helmet! Of course, this isn't probably going to look like the new Stormtroopers in J.J. Abram's upcoming Star Wars Episode 7, but no one knows for sure what they'll look like right now, so you'll just have to wait another Halloween for that. 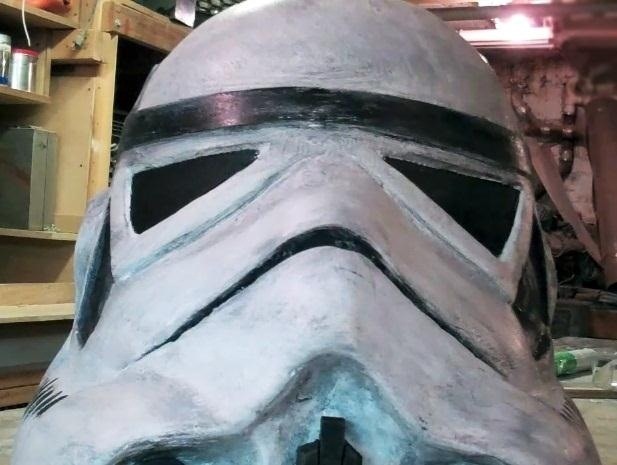 Watch the video guide below by Make builder Jimmy DiResta to see how this classic Stormtrooper helmet is made. You'll need some Magic Sculp, DOW blueboard Styrofoam, 3M 77 spray glue, acrylic paints, as well as a kitchen knife, bandsaw, and Sureform tool. Think this version will take too much time and effort? (It's actually a lot less time than this insanely realistic version.) Then try out the DIY milk jug-based Stormtrooper helmet or the bucket-based one (it's even easier).